By a News Reporter-Staff News Editor at VerticalNews Health -- Brown adipose tissue (BAT) or brown fat has shown beneficial effects on glucose tolerance, lipid metabolism, and body weight in pre-clinical studies. Unlike white fat cells, which store the body's surplus energy as fat, brown fat cells in BAT can convert some of this energy (lipids and glucose) into large amounts of heat when the body is exposed to cold, thus burning the energy surplus rather than storing it. Estimates suggest that fully activated BAT contributes up to 20% of total energy expenditure. Earlier studies have shown that BAT activity is reduced in obese adults. South Asians have a much greater risk of developing type 2 diabetes than do white Caucasians. 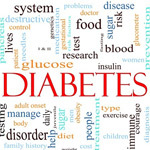 Moreover, in south Asians, type 2 diabetes develops at a far younger age, and at much lower body mass index (BMI). But, until now, little was known about the causes underlying these differences. In this study, researchers from the Netherlands compared resting energy expenditure and BAT volume and activity in 12 healthy lean south Asian men (aged about 25 years) and 12 matched white Caucasian men after exposure to cold using 18F-fluorodeoxyglucose positron emission tomography and computed tomography (18F-FDG-PET-CT) scans*. The effect of cold exposure on non-shivering thermogenesis and plasma lipid levels was also measured. Strikingly, results showed that resting energy expenditure was markedly lower (-32%) in south Asian participants than in Caucasians, as was the volume of metabolically active BAT (-34%). These findings were in line with the significantly higher shiver temperature noted in south Asians (10.9°C vs 8.9°C) upon cold exposure, despite their higher total fat mass. South Asians also had lower cold-induced non-shivering thermogenesis compared with Caucasians. Writing in a linked Comment, Michael Symonds from The University of Nottingham in the UK points out, "As south Asians are much more susceptible to metabolic disturbances such as obesity and diabetes, it is important to establish whether these individuals are resistant to established stimulators of BAT thermogenesis such as chronic cold exposure or dietary stimulants like capsaicin.10 This group is now the ideal target for new pharmacological interventions that might offer proof-of-principle that enhanced BAT volume or function can have long-term health benefits against metabolic disease."